11 Ashbourne Close, Boroughbridge - �294,950 with Hunters, 01423 324075. Ever since the likes of TV chef Hugh Fearnley-Whittingstall showed us how wholesome, satisfying and downright tasty home-grown vegetables could be, the number of gardeners has grown massively. And yet the number of actual gardens is decreasing; the Government estimates that the number of British homes without a garden is rising, from 1.6m in 1995 to an estimated 2.6m by 2020. 54 Albany Road, Harrogate - �220,000 with Dacre, Son & Hartley, 01423 877200. So what do householders with no garden do if they want to grow their own ‘five a day’? One answer is to get an allotment, and it’s a solution that has grown in popularity over the last 15 years or so. In the 1940s, when the nation was ‘digging for victory’, there were 1.4m allotments. By the late 1970s there were around 500,000, but over the next two decades almost 200,000 were sold off by councils unable to find tenants for them. Today, there are around 300,000, and most are heavily over-subscribed – although this may be in part due to some doctors prescribing allotments to combat loneliness and muscle or joint pain. 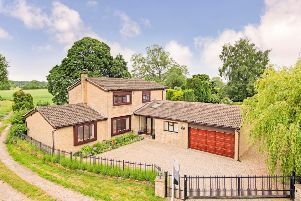 9 The Avenue, Masham - �237,500 with Ackroyd & Ackroyd, 01765 608182. Under the 1908 Smallholdings and Allotments Act, local councils are obliged to try to find suitable land for allotments if sufficient demand exists, and when demand bounced back a few years ago, councils all over the country started acquiring land for public use. Today, some are under threat from the drive to build new homes – which more often than not don’t have much in the way of garden space. The standard allotment size of 10 rods, equal to about 253 sq m, was considered in Edwardian Britain to be sufficient to feed a family of four indefinitely. The following three properties are all close to allotments and are all currently for sale. Number 11 Ashbourne Close is a modern, detached family home on the outskirts of Boroughbridge. It has three bedrooms, two bathrooms, a sitting room, dining kitchen and utility room, and outside there is a driveway for off-street parking, detached single garage with home office, and gardens with pond and vegetable garden and greenhouse. It is also just a stroll away from Aldborough Gate allotments, which have expanded to 110 plots since the site was first leased in 2009. On the northern edge of Harrogate, 54 Albany Road is a three-storey period house on the end of its terrace. It has four bedrooms, a bathroom, eaves storage space, kitchen, hallway and two reception rooms. 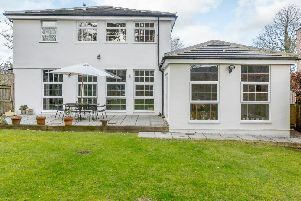 There is a low-maintenance garden to the front and an enclosed paved courtyard garden to the rear with raised decked seating area and a garden shed. This property is also close to Pine Street allotments, an 82-plot site between King Edward’s Drive and Woodfield Park in Bilton. Finally, 9 The Avenue is a stone-built inner-terrace house in Masham. It has three bedrooms, a bathroom, kitchen and open-plan sitting and dining room. Outside, the front garden has been laid with slate chippings and there’s a small back garden with a lawn. It’s also not far from Masham allotments, where it only costs £10 a year to grow as much fruit and veg as you can.